Our Products >> Chocolate Covered Sunflower Seeds 10 Lbs. 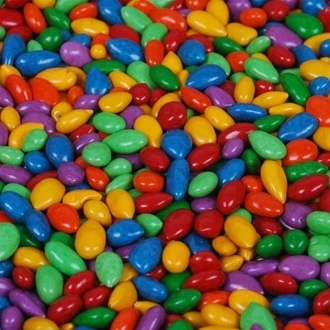 This amazingly delicious topping is chocolate covered sunflower seeds in a colored candy shell. These chocalate covered sunflower seeds make the perfect frozen yogurt and ice cream topping. Chocolate Covered Sunflower Seeds 10 Lbs.